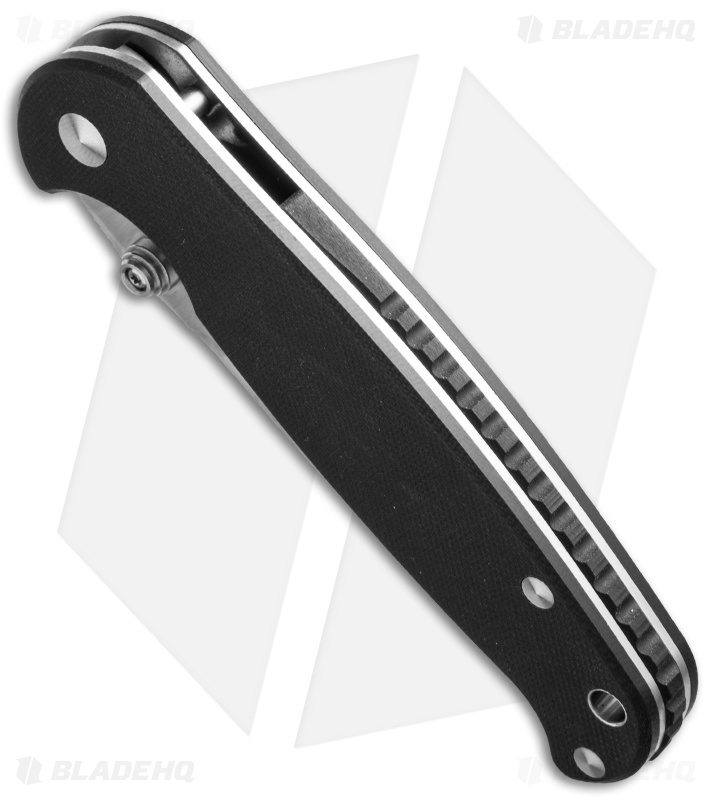 The H6 Blue Sheep folding knife from Real Steel has a high degree of refinement and detail that you'll appreciate. It's modified drop point blade showcases a moderate belly to assist with game preparation and hunting tasks. Finished in satin, the Sandvik 14C28N steel blade is hollow ground and includes oversized thumb studs that accommodate opening with gloves. 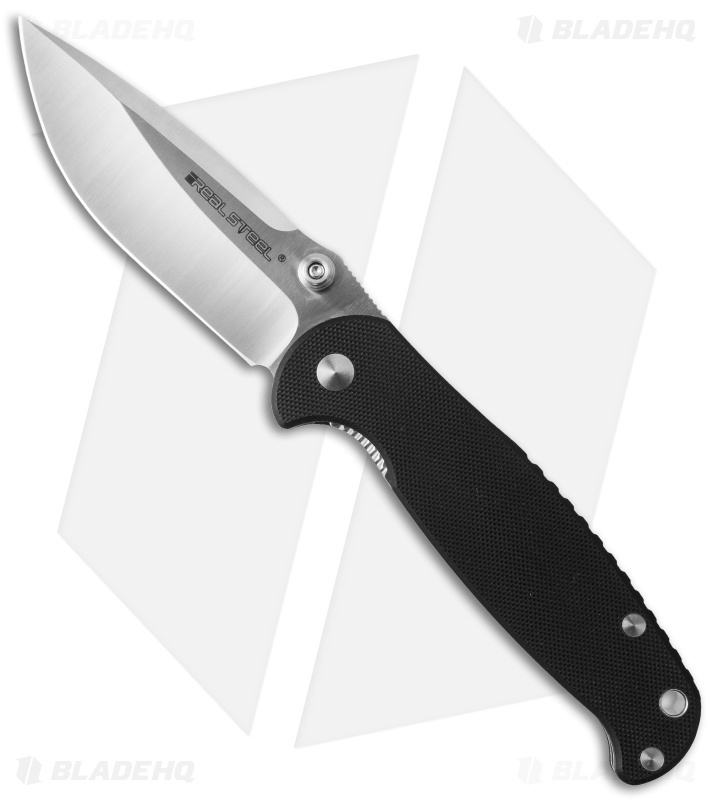 Black G-10 scales are fastened to the lightened, skeletonized stainless steel liners and the grooved lock tab release provides welcome tactility. 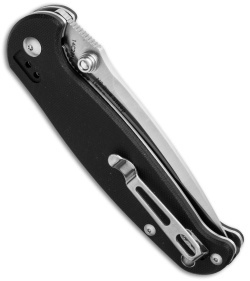 Reversible right hand carry is enhanced with a recessed, deep-carry clip.